With winter approaching, it’s time to make sure that your fireplace is ready for the cold weather. If you are used to living with a fireplace, it’s hard to imagine how you would cope without one. Fireplaces have a long history, and have evolved over the years. For centuries, the traditional open wood fireplace was all that was available. There is no comparison to the ambience created by a log fire, and the smell, sounds and warmth they produce. But open wood fireplaces present problems in our environmentally-conscious age. The closed-system wood-burning stove is designed to increase efficiency, by converting as much of the fuel as possible into heat. Properly designed closed-combution stoves have extremely low emissions. All wood-burning stoves require a degree of manual labour. You may need to chop the wood; you will certainly need to carry it to the fireplace. You’ll need to empty the ash as well. If you are elderly or sick, these tasks may become a liability. 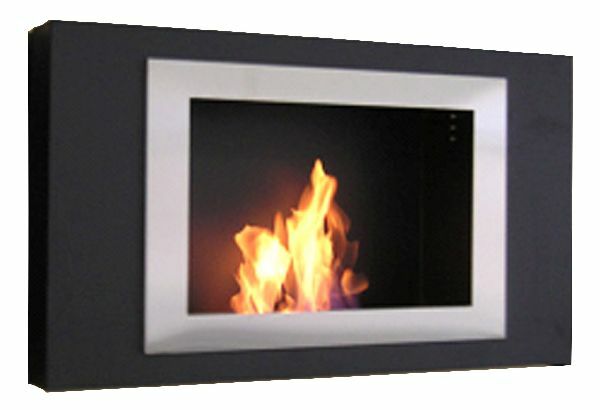 Gas fireplacesoffer a much more convenient solution. Gas has the advantage that it produces heat almost instantly, and a gas fire can even be ignited with a remote control – true push-button convenience. However, the cost and availability of gas could be an issue.Electric fireplaces are, if anything, even more convenient than gas. All they need is an electric outlet. Although you may not be convinced by the flame effects produced by most electric fireplaces, there are some situations where gas or wood fires are unsafe or impracticable. High-rise apartments are a good example. Of course, electric fireplaces are dependent on there being a stable supply of electricity, and are subject to unattractive price rises.A recent introduction is the bio-ethanol fireplace. These are very decorative, but are not generally intended to be used as a primary source of heat for your home. Gas and closed-combustion wood-burning fireplaces are available in free-standing and insert variants, while electric fireplaces are also available in wall-mounting versions. Fireplaces are available in a wide range of styles, from traditional 19th-century decorative cast iron stoves to trendy, sleek, modern stainless steel inserts. You’ll need to take into account the style of your room and furniture, as well as the volume of the space to be heated.